It’s become all too clear this election season that issues involving technology are becoming a core part of campaigns and voter concerns. 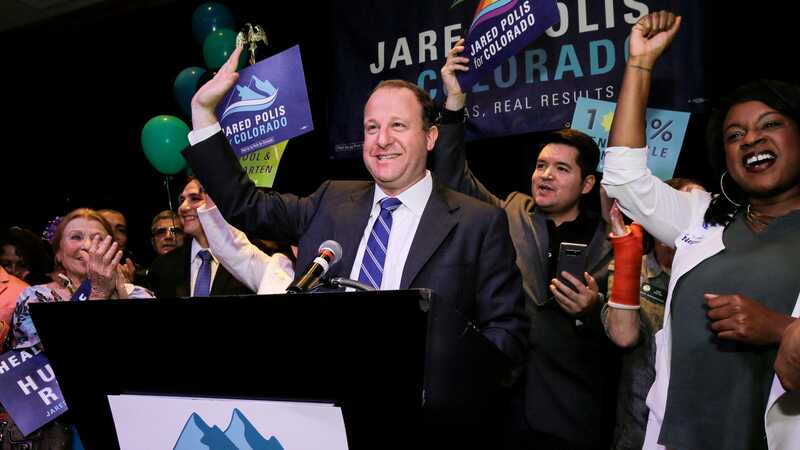 The Democratic nominee for governor of Colorado, U.S. Representative Jared Polis, wants to add blockchain to the list of items voters consider this year. But what does that mean? Polis currently represents Colorado’s 2nd district in the House, and he won the Democratic gubernatorial nomination last month. He’s held his seat in the House for about a decade and has been a fairly solid progressive. He supports Medicare for all, some gun regulation, and environmental protection. If he wins in November, he’ll become the first openly gay man to be elected governor in the United States. But he’s not exactly the community organizer type of Democrat. Open Secrets lists his personal fortune at close to $400 million, as of 2014. The congressman made a lot of money during the dot-com boom days from a couple of right-time, right-place startups. As a politician, he’s tried to use that background as a strength—touting his self-funding as a way of projecting that he’s not owned by corporate interests and pushing his tech bona fides as a reason he can lead the way on those types of issues. In an interview with Gizmodo on Thursday, he said that he’s always been an early adopter “whether it was early BBS days growing up in the ‘80s, to playing around with the internet during college,” and he was on board with cryptocurrencies from the beginning. As a congressman, Polis has been a big defender of Bitcoin and other cryptocurrencies. When Senator Joe Manchin called for an outright ban on Bitcoin, Polis responded with a satirical call for a ban on the U.S. dollar in which he elaborated on some his real criticisms of fiat currency and beliefs in the benefits of cryptocurrency. He’s also supported some regulation in the cryptosphere like a push to require federal employees to disclose their cryptocurrency holdings. On Wednesday, Polis added a set of limited proposals regarding blockchain to his gubernatorial platform that at least give us an idea of what it means for a politician to campaign on blockchain. This being a state race, SEC oversight isn’t his particular concern. Creating a business-friendly environment is a cornerstone of state races and Polis making it about jobs. “The focus of our policy is to make Colorado the leader in the currently innovative blockchain companies and helping companies succeed,” he told us. If that sounds a bit libertarian, it is. In a state like Colorado that’s big on individual liberties like legalized cannabis, that could be a benefit. But deregulation isn’t the only thing he’s focused on. Polis also wants to explore how blockchain could be used for voting security. West Virginia caused a bit of an uproar this week when it announced a pilot program to allow troops overseas to vote with a mobile phone app built by a company called Voatz. Security experts quickly came out to criticize the idea and to poke holes in the firm’s security claims. However the test program ends up working out, it’s good for everyone to be skeptical of blockchains potential for improving election security because that particular implementation remains under-tested. The congressman also thinks that blockchain could be used to streamline the process for storing public records and making them available to the public. “We’re talking more about everything from Colorado contracts, expenditures, titles, a lot of the data-intensive aspects of state government can be more secure and more accessible through distributed ledgers,” he said. Politically speaking, this about saying blockchain innovation could mean government records make it online more quickly and securely. And if everything goes right, it could mean it saves the government money. Polis isn’t ready to put a dollar amount on those savings. There’s absolutely no reason to believe that any of these issues are going to change a single vote in this race, but it does at least give Polis an image of being a forward-looking guy and willing to try new things. His Republican opponent, Wayne Stapleton, is running on limiting immigration, no gun control, and opening up federal lands to the energy sector—in other words, nothing new there. Stapleton has also had to deal with his family’s high-profile relationship with the Ku Klux Klan in the past. One issue lot of voters will surely care about: net neutrality. Around 80 percent of Americans support net neutrality, and a survey from last month found that 57 percent of voters consider reinstating net neutrality regulations to be an election issue. Polis supports federal Title II protections for the free and open web—the very protections the Federal Communications Commission’s Republican majority voted to eliminate late last year—but a measure to reinstate net neutrality that passed the Senate is stalled in the House. Setting net neutrality regulations at the federal level is still how Polis would prefer it be handled, but he told us as governor he would attack the issue on the state level. He’s careful not to say he would advance a law that mirrors Title II protections in Colorado because it would require a different legal framework. “We would use our consumer protection law to make sure that products that are sold as internet access meet a threshold of net neutrality,” he said. Whether or not voters pivot to blockchain this year, we’re going to hear a lot more about it in our politics, and it’s an odd issue that hasn’t found its partisan divide yet. But the lines have clearly been drawn in tech when it comes to subjects like net neutrality or antitrust regulation for monopolistic corporations. And based on recent congressional hearings in which politicians have shown themselves to be completely unaware of the issues at play in tech, it seems best that we get the conversation rolling now before the blockchain has a chance to be part of every facet of our lives without most of us paying attention.